Archith joined Watsi on December 5th, 2013. Four years ago, Archith became the 657th member to automatically support a new Watsi patient every month. Since then, 4,449 more people have become monthly donors! Archith's most recent donation traveled 8,300 miles to support Win, a woman from Burma, to fund gynecological surgery. Archith has funded healthcare for 48 patients in 10 countries. 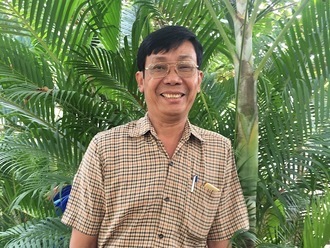 Sophat is a father of three from Cambodia. He works as a nurse in a remote provincial hospital. He is busy with three kids, and enjoys gardening around his house, particularly his flowers and mango trees. For the last three years, he has been experiencing hip pain due to avascular necrosis. He can only walk about ten meters, which isn't suitable for his job. He's in pain and it's also affecting his sleep. Fortunately, Sophat learned about our medical partner, Children's Surgical Centre. At CSC, surgeons can perform a total hip replacement to relieve Sophat of his pain and allow him to walk easily. 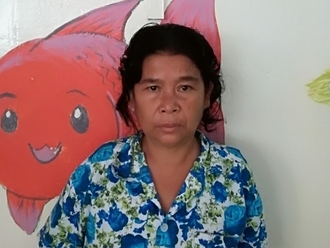 Treatment is scheduled for January 10, and Sophat needs help raising $1,025 to pay for this procedure. He says, "It's difficult to work and I want to support my family." “I am not scared to get surgery,” Nandar shares. “I believe that it will help me, and that my body will heal fast.” Nandar is a 16-year-old girl who lives in Thailand with her mother. Currently, Nandar works in a textile factory. But Nandar says that she likes to read books and even writes her own stories. She dreams of writing a book someday or becoming a teacher. Earlier this year, Nandar began to experience multiple nose bleeds and heart palpitations. Concerned, her mother took her to the hospital. There, an echocardiogram revealed that Nandar has a condition known as patent ductus arteriosus (PDA). This means that her arteries are not properly moving blood from her lungs to the rest of her body. Because Nandar tires so easily now, she has not been able to work as much as she would like to, which has put financial strain on her and her mother. If left untreated, PDA could also cause Nandar lung damage. Nandar has no choice but to undergo surgery if she hopes to avoid this outcome. 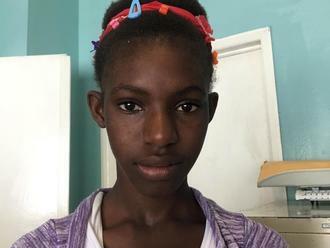 However, she and her mother cannot afford the $1,500 needed to pay for her operation on December 11, as well as the associated lab tests and hospital stay. 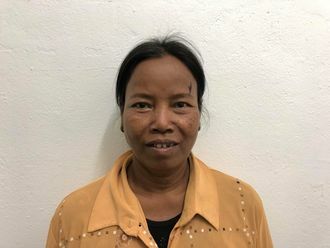 With your help, Nandar can receive her surgery and once more have a functioning heart and lungs. With her health intact, Nandar will be able to pursue the writing and teaching career she dreams of. 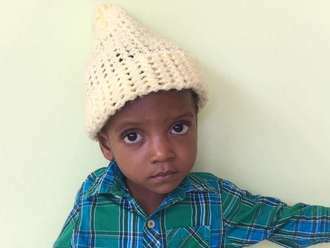 Samuel is a 20-month-old baby who lives with his mother and father in Haiti. His father is a vendor, and his mother takes care of Samuel full-time. Samuel was born with a very serious set of cardiac defects known as Tetralogy of Fallot with pulmonary atresia. This involves five heart abnormalities, including a hole between two chambers of the heart and the complete absence of the pulmonary valve. Samuel needs a complicated surgery to repair some of these problems and route blood around his missing valve. Without treatment, Samuel's life expectancy and quality of life will be severely impaired. Our medical partner, Haiti Cardiac Alliance, is requesting $1,343 to fund Samuel’s air travel to the Cayman Islands for cardiac repair surgery, which is scheduled to take place on July 5. Once there, Samuel will receive the treatment that he needs and will hopefully be able to live more comfortably. "We almost gave up hope that anything could be done for Samuel. We are so glad to know that there are people willing to help him," says Samuel’s mother.